The mid-1970s saw James Benning's first feature films attract the attention of critics, establishing him as a representative of the "New Narrative Movement." In films like 11x14 and One Way Boogie Woogie, he combines the structural analysis of image, sound and narrative with auto-biographical traces, as well as with an almost "classical" interest in composition, color, light and landscape. This 2-disc set features 11x14 (1977), one of the central U.S. avant-garde films of the 1970s, in a restored version. 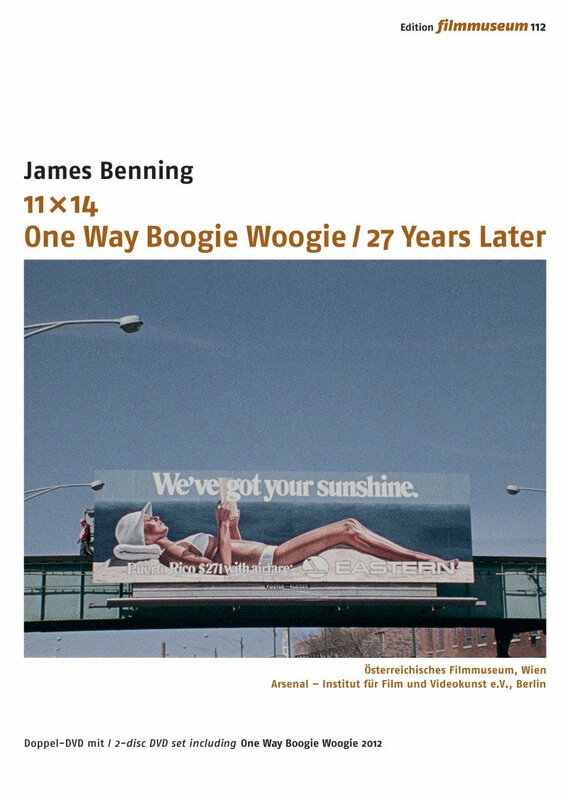 Also included is Benning's recurring view of his hometown Milwaukee at three different points in time: One Way Boogie Woogie (1978), 27 Years Later (2005) and One Way Boogie Woogie 2012. Documents of change and transience.